Should the president approve construction? The bitumen in tar sands requires extensive processing to become a useful, synthetic crude oil. 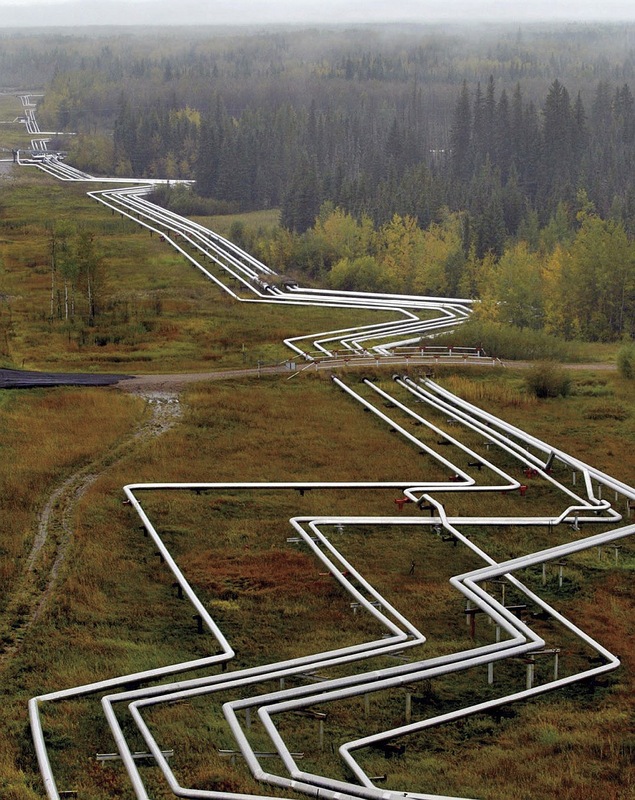 Pipelines near Cold Lake, Alberta, distribute oil derived from tar sands. How seriously should we take the goal of North American energy independence—and can exploitation of the Canadian resource contribute consequentially? Would the pipeline necessarily trigger the disaster projected by at least some of the opponents? Given that the demand for oil will likely persist until we find an alternative, carbon-free means to drive our cars, trucks, ships, planes, and trains, are the problems associated with exploiting the tar sands so serious that the resource should be left in the ground? If approval for the pipeline is denied, would the operators not simply find a different path to market—perhaps by train and truck—or even a different market in Asia or Europe? (In terms of the climate impact, it makes little difference where the oil is consumed.) How should the president decide? Is there a middle ground? The Keystone Project. Trans Canada, the entity that would construct, own, and operate the proposed pipeline, is a large public company that operates diverse energy-related investments—among them, 57,000 kilometers of pipelines dedicated primarily to transportation and distribution of natural gas, storage for a fraction of this gas, and generation of electric power. It has recently expanded to include construction and operation of oil pipelines. Keystone, a wholly owned subsidiary, already operates an extensive network of oil-distributing pipelines, including one that provides an important link between the Alberta oil sands and the United States. The existing pipeline extends south from Hardisty, Alberta; proceeds east through Saskatchewan and Manitoba; crosses the border into South Dakota and Nebraska; and transitions east at Steele City, Nebraska, passing through Kansas, Missouri, and Illinois before ending up in Patoka and Wood River in Illinois. It channels the Albertan oil-sands product to refineries in Illinois; capacity is 590,000 barrels per day. An extension completed in February 2012 delivers some of this oil as well from Steele City to Cushing, Oklahoma, a key distribution center for U.S. crude. A further extension, endorsed by President Obama in March 2012 and now under construction, will facilitate transfer of oil from Cushing to refineries on the Gulf of Mexico, reducing the bottleneck for midwestern crude currently stranded in storage tanks in Cushing. Approximately 75 percent of oil produced from the Bakken last spring left North Dakota by rail. The Keystone extension would only modestly address this imbalance; it would not eliminate the need for additional infrastructure to service the distribution requirements for the rapidly growing Bakken production. Transport of oil by rail has its own risks. A portion of the oil produced from the Bakken is currently transferred by rail through Canada to supply the eastern United States and Canada. The July derailment in Lac-Megantic, Quebec, where as many as 50 people died, involved a Montreal, Maine, and Atlantic Railroad train carrying Bakken crude. Problems, of course, can also arise in pipeline transport. An Exxon Mobil pipeline carrying crude from Canada ruptured earlier this year, dumping thousands of barrels of oil into a residential subdivision in Arkansas. Trans Canada promises to institute comprehensive monitoring and install multiple shut-off valves to minimize, if not eliminate, problems with the Keystone XL project. How Big a Resource? Is the amount of oil in the Alberta deposits sufficiently large that its exploitation could markedly improve North American energy security? An estimated 170 billion barrels of oil is thought to be recoverable—sufficient to accommodate anticipated U.S. demand for at least 30 years—with tar sands accounting for 99 percent of the resource. By one recent estimate, Canada ranks third in proven oil reserves, trailing only Venezuela and Saudi Arabia, and the Alberta tar sands comprise 98 percent of those estimated reserves. The resource is clearly significant, in North America and globally. Tar-Sands “Oil” and Greenhouse Gases. 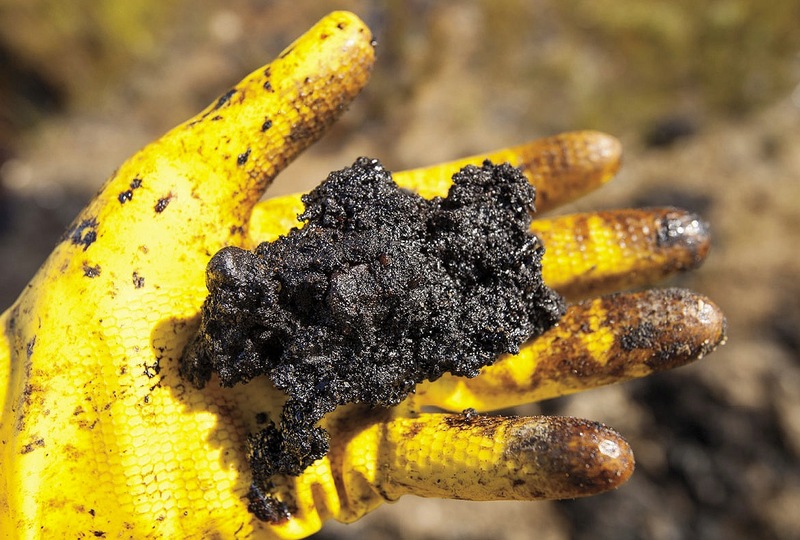 The “oil” present in tar sands is a thick, heavy form of bitumen (the technical term for the product) with the consistency of tar. The bitumen can be extracted from the sand either by mining and subsequent separation at the surface, or by heating in situ so that it can be piped up in liquid form. (The mining approach can be used only to extract bitumen within 75 meters of the surface, however, and the bulk of the tar sands lies deeper. Nevertheless, each technique accounted for roughly half of production in 2011.) The in situ approach produces slightly higher emissions of greenhouse gases, but the impact on the surface environment is significantly reduced. To date, more than 700 square kilometers of the Albertan landscape (an area nearly one-fifth the size of Rhode Island) have been altered by oil-sands mining activities. Major efforts are under way to reclaim approximately 10 percent of the affected area, but real damage is likely to persist. In situ production is expected to account for an increasing fraction of future production. Once released, the bitumen can be converted into a useful form of oil by two techniques. One involves adding hydrogen to increase the hydrogen-to-carbon ratio of the resulting product, usually by reacting bitumen with a hydrogen-rich compound such as natural gas. The other involves separating bitumen into carbon- and hydrogen-rich products, followed by removal of the carbon-rich component (coke). Both techniques require further processing to remove sulfur and nitrogen to enhance the resulting synthetic crude oil (SCO), and each step requires energy (typically fossil fuels), leading to a significant increase in greenhouse-gas emissions, notably CO2. Alberta has committed $1.2 billion to capture and sequester CO2 to reduce damaging emissions by burying it or by deploying it to enhance secondary recovery of oil and gas. The first project involves capturing CO2 from a bitumen-upgrading plant operated by Shell Oil; the facility, scheduled to begin operation in 2015, is intended to process up to 1.2 million tons of CO2 per year. The second, the Alberta Carbon Trunk Line, is to connect multiple carbon-capture sites, deploying the carbon to enhance recovery of oil from conventional oil fields. As designed, this project would process up to 1.8 million tons of CO2 annually by 2015, with plans to increase capacity to handle as much as 15 million tons. These projects will likely make at most a modest (and expensive) contribution to reducing the scale of the tar-sands operations’ emissions, which alone exceed 50 million tons of CO2 per year now and are expected to increase significantly. Keystone XL and Future Emissions. Would approval of Keystone XL result in a significant increase in net emissions of greenhouse gases—the relevant question, given the global nature of the climate-change challenge? The critical issue relates to the net change in emissions resulting from the production, enhancement, distribution, refining, and final consumption of the tar-sands product in the transportation sector as gasoline, diesel, or jet fuel. Answering requires a comprehensive “well-to-wheel” assessment. A summary of such assessments in a recent Congressional Research Service report written by Richard K. Lattanzio concluded that per unit of fuel consumed, greenhouse-gas emissions associated with Canadian oil sands would be 14 percent to 20 percent higher than a weighted average of transportation fuels now sold or distributed in the United States. He added that “compared to selected imports, Canadian oil-sands crudes range from 9 percent to 19 percent more emission-intensive than Middle Eastern Sour, 5 percent to 13 percent more emission-intensive than Mexican Maya, and 2 percent to 18 percent more emission-intensive than various Venezuelan crudes.” Assuming that Keystone XL would deliver to U.S. refineries a maximum supply of 830,000 barrels per day, he concluded that “incremental pipeline emissions would represent an increase of 0.06 percent to 0.3 percent in total annual greenhouse gas emissions for the U.S.”—significant, though scarcely game-changing. The impact could be even smaller if, as suggested, some pipeline capacity were deployed to transport oil from the Bakken field. Approving the Pipeline—with Conditions. In light of these data, should the president approve construction of the pipeline? Approval would undoubtedly draw criticism from at least some environmentalists. But a negative decision is unlikely to preclude further development of the tar sands. The United States will likely continue to be an important and growing final destination for Canadian oil delivered—if not by the Keystone XL pipeline—most probably by truck and train, both more carbon-intensive means of transport. Should the president approve construction, he could couple his decision with a requirement that Canadian authorities take steps to reduce the carbon-intensity of extracting the tar-sands bitumen and processing it into SCO. Increased use of cogeneration to supply the steam and electricity needed for exploiting the resource could be significant, and use of renewable resources—steam produced from concentrated solar power (viable in that location) and wind-derived ancillary electricity, for example—could further reduce greenhouse-gas emissions. With options like these, the president could stipulate that the well-to-wheel emissions associated with the tar-sands resource should not exceed the average emissions associated with current use of liquid fuels for transportation in the United States. Increasing supplies of Canadian oil would reduce U.S. dependence on potentially unstable and unreliable sources such as Venezuela, Saudi Arabia, and Nigeria. A recent advertising campaign challenges this conclusion, arguing that the pipeline would simply provide a way to deliver heavy Canadian crude to Gulf Coast refineries for processing and export to foreign markets, notably China. But the United States is already a net exporter of petroleum products such as gasoline, diesel, and jet fuel. The transition from net importer to net exporter took place two years ago, resulting from competitive cost advantages enjoyed by refiners benefiting from increased supplies of U.S. crude oil and inexpensive domestic sources of natural gas. Delivery of Canadian crude to the Gulf Coast would make at most a modest contribution to the trend already under way. And, as noted, it matters little for the climate impact where the oil is consumed. 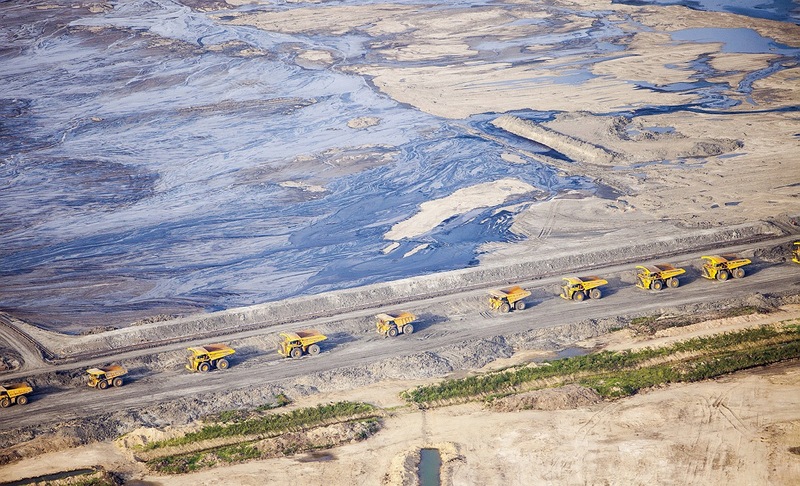 Aggressive commitments by Canadian authorities to reduce the greenhouse-gas footprint of tar-sands development, combined with the initiatives already announced by the president to reduce U.S. national emissions, can minimize environmental damage. From the U.S. perspective, there are sound economic and security reasons to encourage development of the Canadian resource. Subject to the conditions noted here, I would recommend that the Keystone XL project should be approved. Butler professor of environmental studies Michael B. McElroy considered the pros and cons of natural-gas development in “Fracking’s Future,” with Xi Lu, Ph.D. ’11, in this magazine’s January-February issue (page 24). He is also the author of “Time to Electrify” (July-August 2011, page 36) and “Saving Money, Oil, and the Climate” (March-April 2008, page 30).